Amaluna, the latest gem from Cirque de Soleil’s seemingly bottomless treasure chest, is about to bid farewell to Seattle and trek across North America. This dazzling, spellbinding and breathtaking show transcends mere entertainment — it is a testament to the power of love, femininity and creativity — it stretches the very limit of what we think the human body and imagination can achieve. Most importantly, Amaluna is a blast. It’s America’s Got Talent seen though an acid trip, the Olympic gymnastics finals as produced by Red Bull, a two-hour rollercoaster ride set to a soundtrack that’s equal parts Prince and the Art of Noise. The less you know going into the show, the more fun you’ll have. I easily missed 90% of the plot and still had the time of my life. I highly recommend seeing it once — then reading the program to learn the story — then seeing it again. Cirque de Soleil shows can be a bit hit or miss depending on one’s aversion to or fear of clowns — my phobia is near clinical, so I thought I was in deep trouble from the very first scene. A blossoming romance between two clowns, the Nurse and the Man Servant (or as I guessed while watching it, a hobo and a ship captain) provides comic relief between the acts and a much-needed chance to catch your breath. This was the only part of the show that did not work for me 100%. Don’t worry, the Laugh-in era making whoopie sight gags will be lost on your kids — in fact, anyone under 10 will be delighted with their funny noises and G-rated slapstick. Much better comedy comes from Cali, a delightfully mischievous and sinister half lizard/half human that sets out to foil the romance of our heroine, Miranda, and her Romeo (named Romeo). Cali loves circus snack food as much as he loves his sweet Miranda. You’ve been warned. If you came for wild acrobatics, dancing, costumes, stunts, music and magic, Amaluna delivers like a slot machine that only hits triple cherries. As our love birds fall in love and are torn apart, we enter Amaluna’s dizzyingly colorful world — part Pandora from the James Cameron film, Avatar — part studio set from the Duran Duran “Wild Boys” video — part Endor from Return of the Jedi. The inhabitants of this world each manifest very special powers — the common thread apparently is a sheer defiance for the law of gravity. Costume designer Mérédith Caron evokes Steampunk, the Renaissance, ancient Asia, science fiction and contemporary styles in her bold, bright and surprisingly utilitarian designs — more than 130 costumes in all. If you’re going to spin a water meteor juggler on your heels faster than a motorcycle wheel, you might as well have padding in the right places. While Cirque’s training grounds in Canada are no secret, don’t come to the show thinking their performers are unbreakable athletic machines. 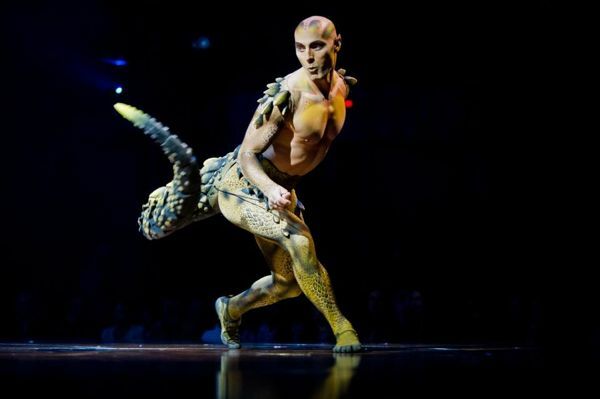 What makes Amaluna work is how surprisingly human it is. The performers are putting their lives on the line with many of these high-flying stunts — and when they miss their mark — as happened a few times during the show — the audience is so captivated and emotionally invested, there is a collective relief when the performer gets up and jumps right back in without missing a beat. When they nail it — as they most always do — you can see the victory in their eyes as tears of joy well up in yours. Women might be disempowered just about everywhere else in popular culture, but not here. In this world, women are warriors, leaders, mothers, daughters, rock stars, goddesses, athletes, daredevils and artists — all while celebrating their femininity instead of repressing it. Under the sharp direction of Broadway and opera veteran Diane Paulus, Amulana blossoms into a beautiful manifestation of the divine feminine rather than becoming a feminist manifesto. 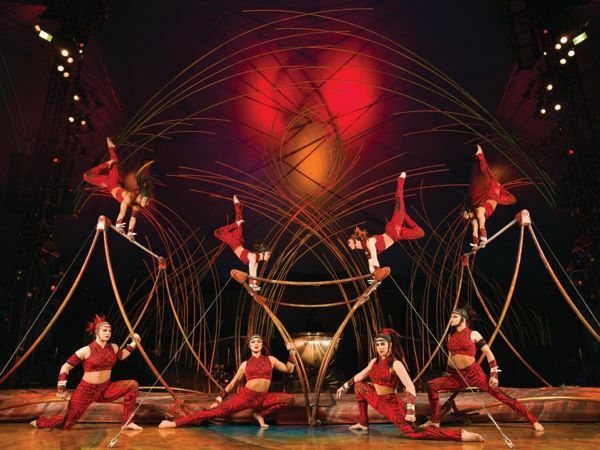 Acrobatics are the bread and butter of the Cirque brand, and they’re here in spades. Amaluna also trots out many new stunts and performances to satiate the Cirque-us die-hards, like my wife, who have seen almost every show. 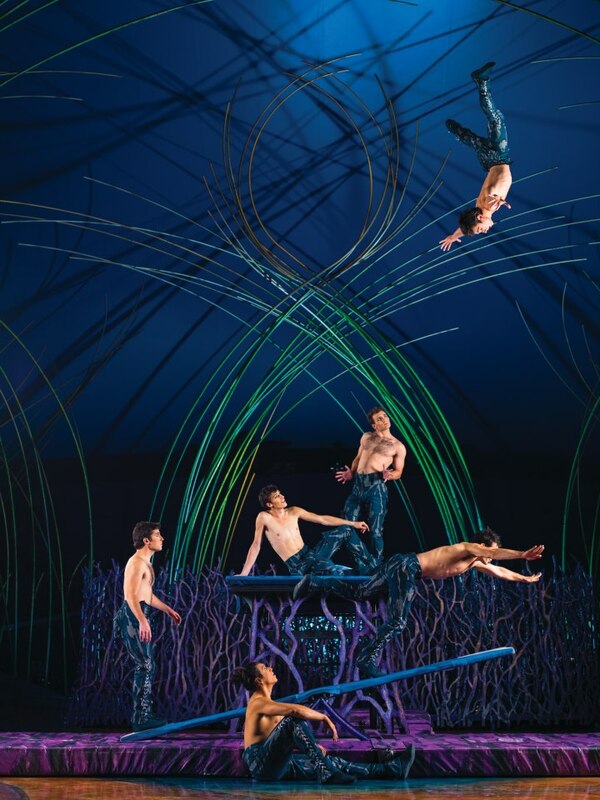 Every time you think you’ve seen THE ultimate feat that defines Amaluna, the next act tops it. If Paulus juggled the setlist with each performance, the same thing would be true. There’s not a dud event under this tent. For the first time in Cirque du Soleil history, an all-female band performs the show’s soundtrack. Based on the chops they show while performing the rhythmic score by Bob & Bill, these ladies could easily hold their own in a jam session with the current all-female line-ups backing Jack White and Prince. Didi Negron, the first lady drummer ever to grace a Cirque stage, is also my newest rock star crush — though sadly, we only see her a few times during the show. Perhaps the biggest surprise in a show that is so action packed is a segment called Manipulation. Here, the Balance Goddess takes a tent filled with 2,000 fans who have been cheering their hearts out and reduces them to dead silence and rapt attention. Her balancing act is so precise and delicate, one would think the slightest cough from the back row could bring the whole thing down. I can’t imagine she is able to do this feat time and again with every performance — and when she’s victorious, every witness must feel there is nothing under the moon that can’t be accomplished. Minneapolis. San Francisco and San Jose: Amaluna is coming your way. 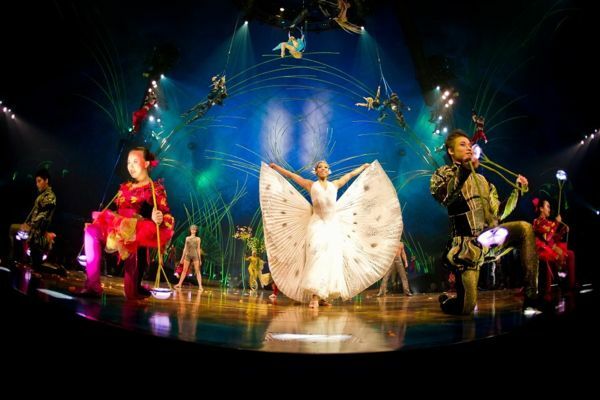 Go behind the scenes of Amaluna by liking it on facebook.